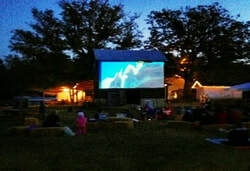 Bring your lawn chairs, blankets and quilts and relax with your family and/or friends for family movie night right on the farm. During the fall, we keep the Back 40 open on Saturday evenings to feature family movies for you to enjoy. Movie admission is included with a daily Back 40 pass. Bennie B's Food Truck will be onsite, on the Back Forty, every Saturday & Sunday. Enjoy snack selections at the Nibble Nook with hot chocolate, popcorn, and more! You can even roast 'Smores with your family while you enjoy the movie. Saturday nights at the farm are a time for the whole family to have a great time! 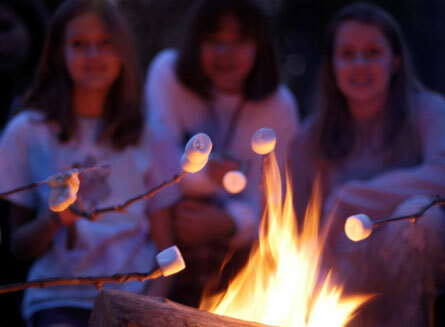 Roast marshmallows and make 'Smores while watching fun movies the whole family can enjoy!